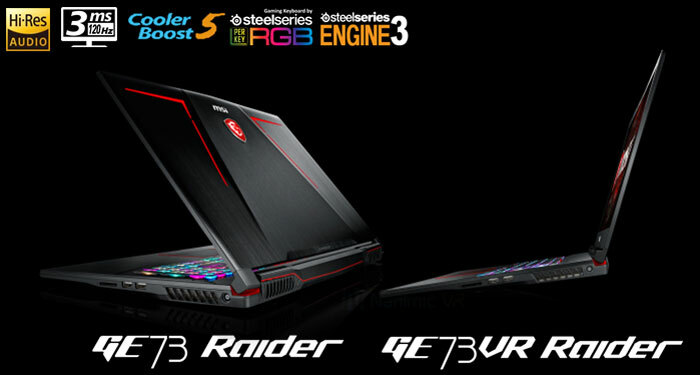 MSI has announced the GE63VR Raider and GE73VR Raider gaming laptops. 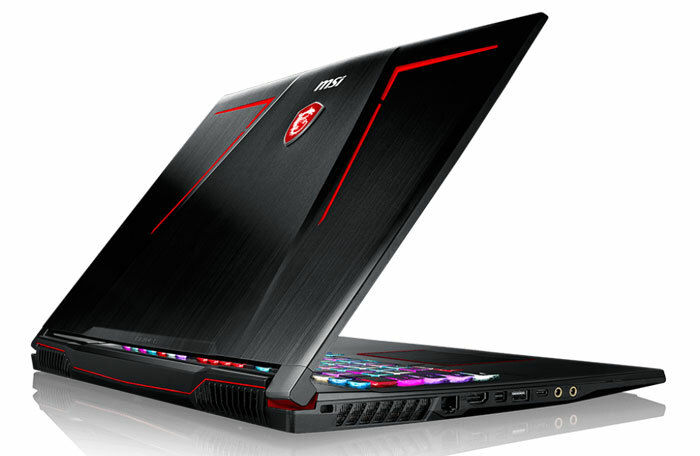 With the new Raider series MSI insists it is keeping up the pressure on innovating to the benefit of PC gamers and enthusiasts. 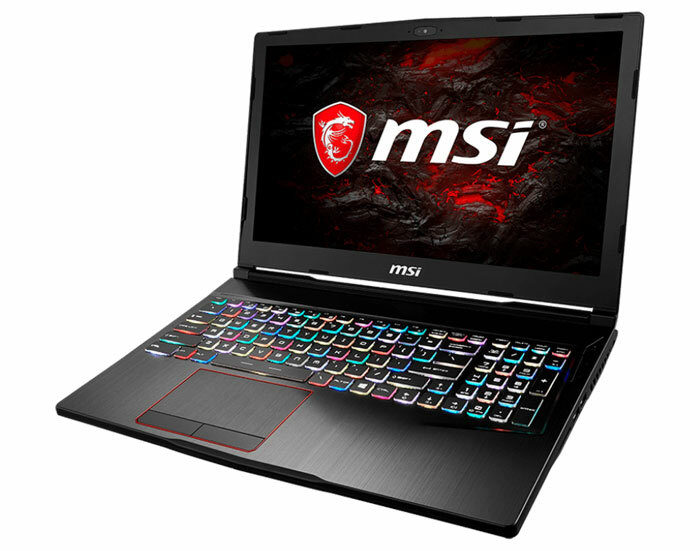 In brief, the MSI GE63VR/73VR Raider laptops are 15.6-/ 17.3-inch laptops, powered by a Kaby Lake Intel Core i7 processor and a GPU of your choice from Nvidia GeForce GTX 1050 through 1050 Ti, to 1060 and 1070. The powerful internals are kept cool by MSI Cooler Boost 5 with dual whirlwind fans and 7x heatpipes. Both Raiders are capable of packing up to 32GB of DDR4 RAM via 2 slots. For storage there is room for 1x2.5-inch drive and 2x NVMe M.2 SSDs which can be configured into RAID arrays. SteelSeries keyboards with per-key RGB backlighting feature too. Audio niceties come from the usual MSI Nahimic system, this time it's based upon an ESS Sabre Hi-Fi DAC paired with the MSI 'Giant Speaker' system made up of two speakers and two woofers. Killer networking (Ethernet and Wi-Fi) with Killer Shield is installed, as is Bluetooth 4.X. Ports include; HDMI out, MiniDP, 1x USB 3.1 Type-C, 3x USB 3.0 Type-A, SD card, Audio in/out, and there's a built-in HD webcam. Probably the key advance delivered by the Raider systems is the 'Advanced Gaming LCD'. 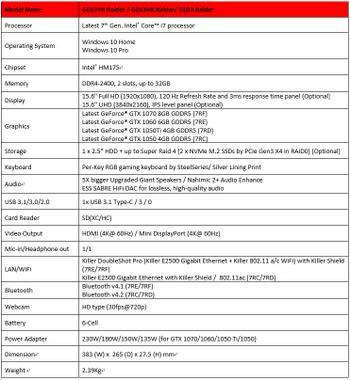 MSI claim these are the only laptops with 3ms response time 120Hz panels. 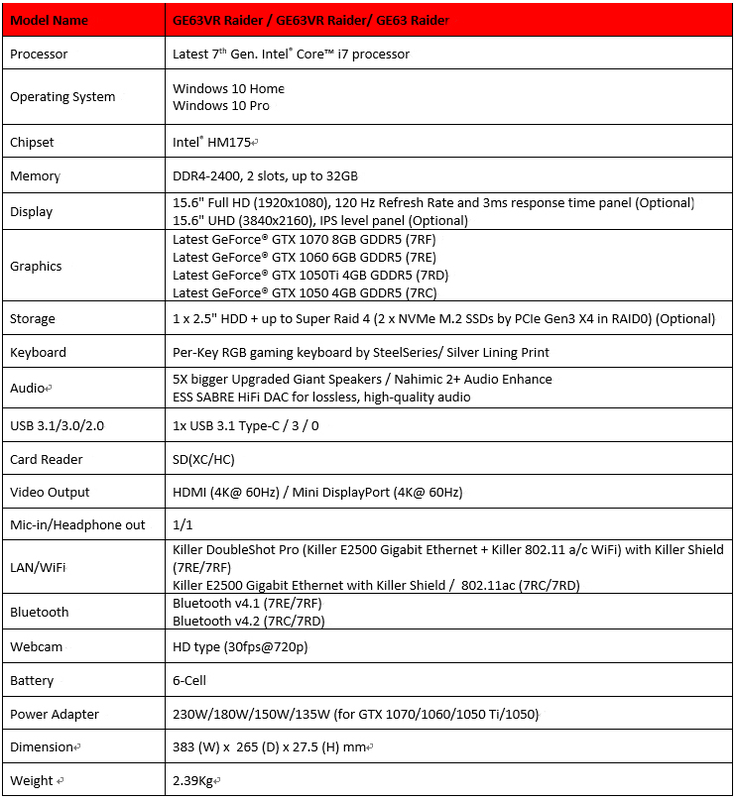 Those particular stats apply to the 1080p options of either the MSI GE63VR/73VR. Both models are also sold in 4K UHD configurations with IPS screens. Back to the 1080p panels, and MSI says they offer a new level of realism with 94 per cent NTSC Colour Gamut calibration and capable of HDR visuals. 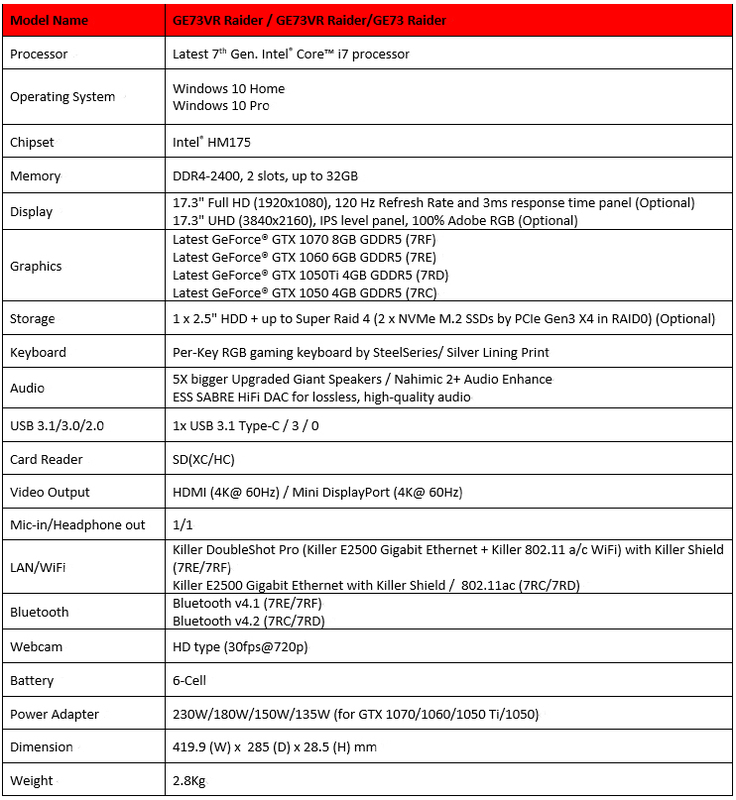 Full official spec tables are reproduced below. Click to zoom in. Calibrated to NTSC???! *Sigh*. HDR is good though, although what standard is not specified. I would also expect the 1080P panel to be TN given they haven't specified what it is. In that case, is 3ms really all that impressive? Additionally, I do wonder if a middle ground panel would be sensible? 1080 isn't all that great on 17 inches (isn't bad but you're quite close and frankly about 12 years ago I had a 1050 panel so this doesn't represent much of a tech advancement) and 4K is overkill and shortens the useful life of the laptop markedly (unless you drop your game resolution down to 1080 when games become more demanding in which case, what's the point?). I'd hope to see G-sync with the 4K panel myself. Maybe I am just a prick who wants it all? OnePlus made the same gaffe with the OnePlus 3. Noone in their right mind would calibrate anything but US televisions to NTSC, if that. i Have the GS73 7RF Stealth with a 120mhz panel, its great. These models aren't as nice as the stealth.